The end of the day used to be chaotic for my students and me. I would be teaching, and suddenly the bell would ring. We would rush to pack up all our belongings. Students would forget to stack their chairs, leave homework on top of their desk, and leave the room in complete chaos. There's no time to tidy up when you have a bus to catch! Does this sound familiar in your classroom? Starting closing circle taught my students and me that we could end the day as a community. No matter how rough the day has gone, closing circle allows a class to reflect and end on a positive note. It continues to give students a sense of belonging, meaning, and significance. Every morning we hold a morning meeting to set the tone for the day- shouldn't we finish the day on a positive note as well? You can read more about morning meeting in my classroom here. My closing circle originated from the closing circle that I learned through Responsive Classroom. Responsive Classroom is a teaching approach that focuses on social-emotional learning and academic success. If you are unfamiliar with it, I would highly recommend it. The First Six Weeks of School is a great place to start if you want to learn more about it. 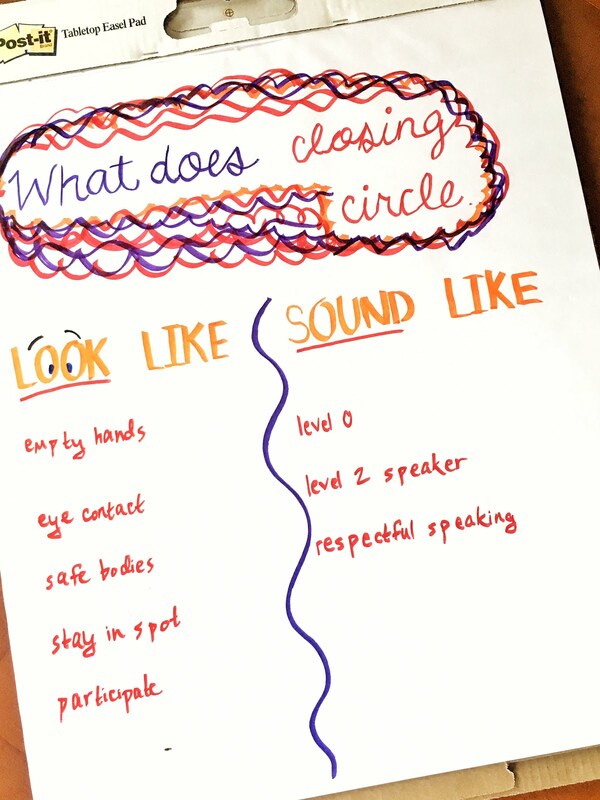 Responsive Classroom also offers Closing Circle: 50 Activities for Ending the Day in a Positive Way. Please note that all these links are Amazon Affiliates links. Some key parts of Responsive Classroom are Morning Meeting, Closing Circle, and Quiet Time (click for blog post links!). 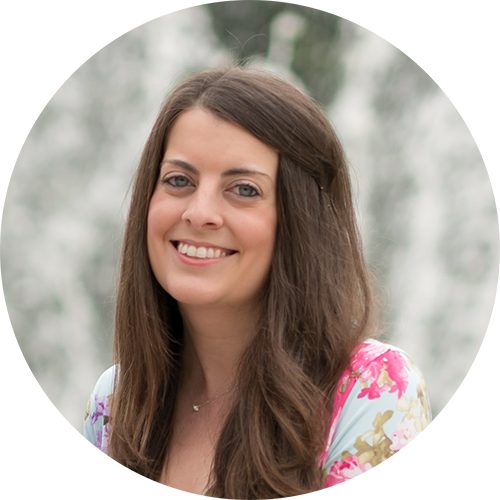 Closing circle is something that can appear different for every teacher and grade. 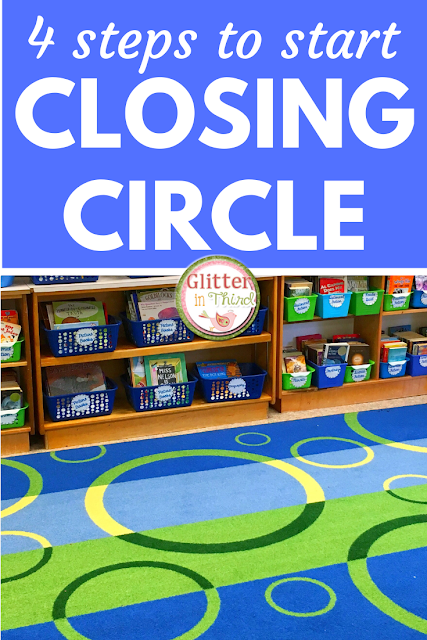 Closing circle may look completely different in your kindergarten or fifth-grade classroom - and that is okay! The important part is that closing circle is a community gathering where we celebrate the day and one another. Please remember that I specifically discuss what I do in my third-grade classroom. 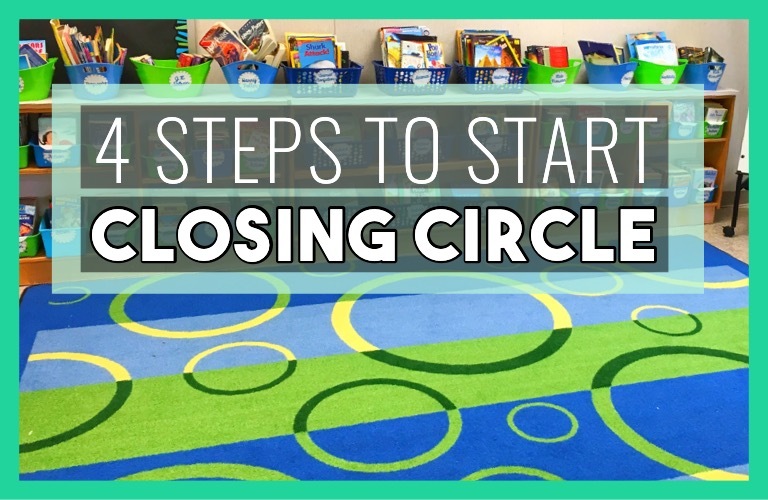 Below, I listed five ways to easily implement closing circle in your classroom. Closing circle only takes five to ten minutes. Yes, the time can add up quickly over the course of the year. But I will never regret missing five minutes of class. And let's be honest, how productive is a lesson at the very end of the day anyway? Students are already struggling to stay focused, wondering who is picking them up from school, thinking about a soccer practice that night, or are hearing their grumbling tummy ready for an afternoon snack. Invest in the time for closing circle- you WILL see a result in creating a sense of peace and community at the end of the school day. Before we ever start closing circle, I go over the expectations with my students. As a group we discuss what voice level we will need, and what closing circle looks like. Like any routine or procedure in class, we do interactive modeling. This means that students will be practicing and showing students what closing circle looks like. I NEVER have students demonstrate what it doesn't look like. We focus on the positives only. I am not simply showing students what to do, but instead giving students an active role so that I can assess their understanding. One of my teammates once described interactive modeling as "pretend that your students are aliens that just arrived from another planet. You need to describe and show how to do an activity with them. Nothing is too specific. THAT is interactive modeling." A big idea in Responsive Classroom is the idea of "go slow to go fast," and I believe this is essential in every aspect of teaching. I create two anchor charts with students. 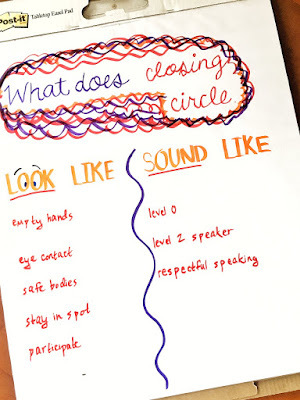 The first anchor chart describes what closing circle looks like and sounds like. The second anchor chart with the routine of closing circle. This way, students aren't raising their hands asking to share a celebration while we are still reflecting! Below I listed the routine in my classroom. I would suggest following a similar structure (bringing kids together, reflecting on the day, a quick share, and a good-bye), but you could swap in whatever you would like! Some teachers like doing a fun game or activity at the end of the day. This has never worked well in my classroom, I find that students often get riled up or can bring hurt feelings over not winning a game into the end of the day. That's not what I want - I want the end of the day to end on peace and inclusion! I tell students that when they finish packing up and stacking chairs, to find a seat on the ground for closing circle. I start noticing kids that I see on the floor ("I see Jenna is seated and ready for closing circle. I see Lance finishing packing and heading over"). Some years, I have a class that needs a little more incentive to finish what they are doing and start closing circle. Or at the end of the year or before winter break, I also need to add more incentive to pack up quickly. I will put a timer on the SmartBoard and tell kids that when the timer hits 0, they all need to be on the floor. They find this like a game, and usually get to the carpet super quick! However, you will always have one to two "laggers"... those kiddos who for whatever reason take forever. That's okay. You don't all need to wait for those one or two kids. They may need an extra minute or two. Just remind them to join the circle when they are all done. I do not recommend having kids bring their backpacks/lunchboxes/coats to the rug. They often are playing with something on their keychain, or distracted. Have them leave all their belongings at their desk. Remember, be all packed and cleaned up before closing circle. Closing circle should be the very last thing of the day. For Part 2, we reflect upon our day. First, I ask students where we could improve on the day. Students raise their hands to answer, and I toss them the ball. Since the end of the day can often result in students not focusing, I toss a ball to students. For some reason, students get more "into" something when a ball is included! Only the person with the ball can answer. We hear one of two students for improvement. I think that reflecting on the day is essential because verbally hearing "we could improve on our voice level in line" is a good reminder for the next day, and creates classroom goals. Then, I ask students what we rocked today. We hear one or two students for that as well. I have teacher friends that instead of part 2 and/or part 3 prefer to do an activity or game. I noted before that I don't like doing a game or activity because students can get wild, and I would prefer to create a calm atmosphere. But if it works with your kiddos, go for it! One of my best teacher friends came up with this idea, and I implemented it in my classroom because it was such a great idea! I have a fishbowl and a box of index cards for students to write a celebration or concern on. This is something that you definitely want to practice with students to make sure that everyone understands the difference between a brag and a celebration. I allow students to write a concern or celebration to the fishbowl before school starts in the morning. This means that they cannot write something and drop it in right before closing circle, they have to wait until the next day if they forget to write their concern or celebration in the morning. I take out and read each concern or celebration. Students usually write a celebration instead of a cause. If it's a celebration, I read it aloud. Then we applaud for that person. If it's a concern, three students can raise their hands and offer condolences, words of support, or advice. Again, this is something that you want to practice with students to make sure everyone understands what is appropriate to say to someone who is upset. I am always blown away by the responses that students give, and the empathy that is shown. My class does a great job with remembering to not write a concern or celebration every day. We discuss as a group about how if we all put in a celebration every single day, we wouldn't be able to read them all. If you notice that there are too many concerns or celebrations each day, you could have a discussion with your class about picking the most special moments that have recently happened to them to share. Yes, I made this chant up. And yes, I am aware that it is not clever or funny. But you know what? My students respond well to it and enjoy it. They love the wiggling the fingers at the end. You could do a song at the end of the day, or students could wave to one another. It's entirely up to you and your students needs! Remember, you don't want chaos at the end of the day! Suddenly screaming "CLOSING CIRCLE IS OVER, GO HOME!" is probably going to undo all that hard work that you just put into creating peace. Think about how you want students to leave closing circle. Do you want them to stay seated until their bus is called? Can they walk around but won't be allowed to leave the rug? Can they grab a book and sit under their desk and read? Brainstorm ahead of time what is expected of them, and practice this procedure so that everyone knows what is expected of them. Do you implement closing circle in your classroom? What is your classroom like at the end of the day? I would love for you to share below!